It's easy to subscribe to this blog - just right click on the orange RSS button you see in the box below the navigation buttons to the left, and paste the URL into your RSS reader. Or click on the Add to My Yahoo or My MSN or Add to Google buttons if you keep a personalized home page there. If you're not sure what any of this Blog and RSS stuff is about, just click the "What's an RSS Feed?" link in the same box. Thanks for subscribing. Here's to great diving! Yes, it is easy really isn't it? What is better than being underwater? Probably nothing - especially during these cold winter days! Thinking of diving and being warm. 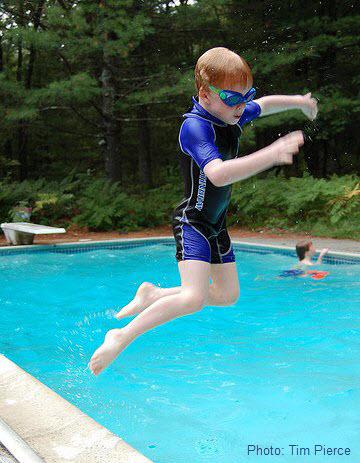 I hope you get some great diving in soon. Review of Little Cayman Dive trip in 2018. Information on flights to the island, LC Beach Resort, status of the reef and fish life and more. If you are planning a scuba diving trip to the Caymans, this is a helpful overview and review. Continue reading "Little Cayman Scuba Diving Trip 2018: Flights, Resort & Dive Reviews "
Continue reading "Scuba Diving Tips Ebook For Beginner Divers: Improve Your Diving Now"
Continue reading "Scuba Diving PopSockets - Grips For Your Phone & Tablet, Phone Holder"
Continue reading "Tips On Buying Childrens Wetsuits And Picks For Best Kids Wetsuit "
It is fast approaching. Almost as fast as this year has gone by. LOL. World Ocean day is June 8, 2018. Our oceans are in dire need of protection and help. It is a great resource for all things ocean protection. Let's all do whatever we can to help our oceans. We can make a difference! It's a beautiful sunny day, birds are singing, colorful flowers pointing their faces towards the sun and a soft warm breeze touching your skin. I'm wondering..
Continue reading "Scuba Divers Life"
Where does the time go? Another year has gone by in a flash. I hope you were able to get some good scuba diving in this year! While I didn't get much diving in, I was able to swim with whalesharks, sea lions and grey whales. Absolutely fantastic all around! But I digress. December is almost here so we know what that means. Gift giving season is here. I have updated all our scuba diving gift guides. So if you need some ideas for the scuba diver in your life (or for yourself! ), I have lots for you. Our lists cover all price ranges, we even have one with gifts for the diver under $10. Yes, it really is possible and they make great stocking stuffers! To see all our scuba diving gift guides, just click here. Happy Thanksgiving to all my fellow Americans. 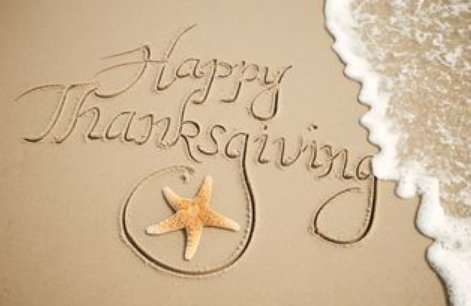 May you have a day filled with family, friends, love and laughter! 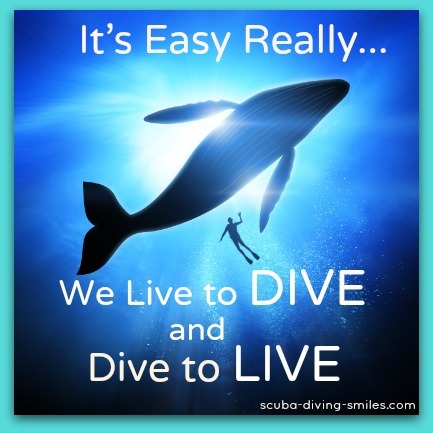 I have been having fun steadily adding to our collection of tshirts for scuba divers. Perfect for wearing on the dive boat or while traveling to that next dive spot. After all, you can't have too many dive shirts can you? You can check out our full collection here. Aqualung is concerned about a possible regulator gas flow failure during a dive with the Automatic Closer Device (ACD) yoke systems. Models involved in the check are the Titan LX ACD Yoke Regulators, Core ACD Yoke Regulators and the Legend ACD or the Legend LX ACD Yoke Regulators. According to Aqualung, for these regulators, a component of the ACD yoke system may not have been properly tightened to the recommended torque specification during manufacture. If you have one of these regulators you should have it checked out by a qualified Aqua Lung service technician. For all the details go to aqualung.com and click on the red safety notices button on top. Our very own collapsible water bottle. Lightweight and made of silicone, it is perfect for travel, hiking, etc. It is also a great scuba gift idea for both the plane and the boat. 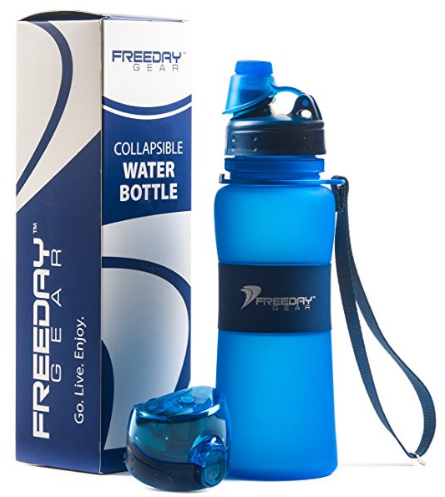 Continue reading "Collapsible Water Bottle - 17 oz. 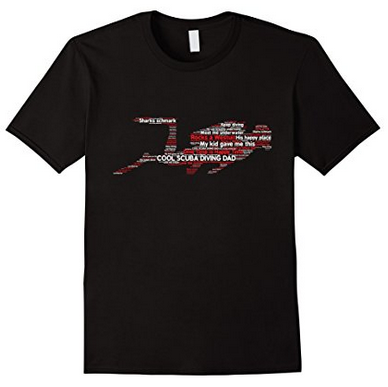 Perfect For Travel And The Dive Boat"
Our original scuba diving t shirts for both males and females. We have funny tee shirts too. Show your love of diving to the world. Continue reading "Scuba Diving T Shirts For Men And Women - Great Gifts For The Diver In Your Life"